So What Is a Crone, Anyway? My name is Anna Myers, and I am a crone. Although my former students may well have described me as such, I am not a hag. Despite inadequate definitions in some dictionaries, the words “crone” and “hag” are not synonymous. READER DISCRETION ADVISED: If you don’t like old people, or if you do not plan to live long enough to reach old age, go read some other blog. 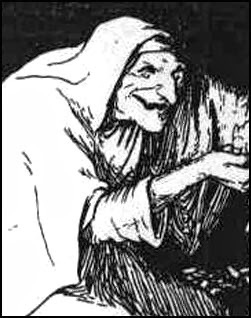 A crone is a stock character in folklore and fairy tales and is mentioned in Shakespeare’s work. Many women go through three stages after childhood— maiden, mother, crone. A crone is a woman of a certain age who knows things. Some would say a woman can become a crone after menopause, after her womanly wisdom no longer leaves her body each month. Personally, I think a woman can become a crone at that time in her life because she is free. Freedom from childrearing and other demands gives her time to think. The kids are on their own. The husband is either gone for one reason or another, or he is asleep in front of the TV. However, one does not become a crone suddenly. It takes time. A woman is a crone when she declares herself to be one. I became a crone recently. I can’t tell you the exact date. Rather, it was a slow realization that came to me sometime after my 70th birthday. I said nothing, was too dumfounded to speak! Young life, what was she talking about? I felt old. The weight of that terrible word—cancer—was pressing against me like a truck load of stones. I doubted I could live to be anywhere nearly as old as my mother’s sisters, doubted even if I wanted to live. All those years without Paul seemed unimaginable. 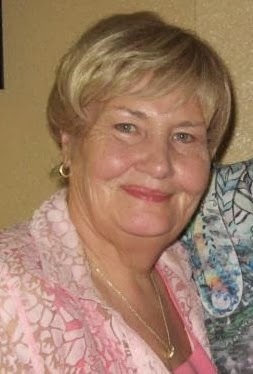 A few days before the surgery, I had said to one of my aunts, “If Paul’s tumor turns out to be cancer, I won’t be able to bear it.” Aunt Tina dropped the spoon she used to stir her cake and whirled to look at me. “Of course you can, sugar!” she said to me with a bit of scolding in her tone. “Of course, you can!” I didn’t know very much when I was 55. That same aunt will be 96 next month. I love spending time with her. I know she still thinks of me as too young to understand some things. She is right. I have lots to learn. Knowing one’s own ignorance is a requirement for being a crone. In Western society, we often want to distance ourselves from the old because they remind us of our own mortality. In Western society, we fear death. A crone does not fear death. A crone knows things, and one of the things she knows is that she must continue to learn. She knows that the final learning will occur when she moves through that thin curtain separating the living from the dead. Five things distinguish a crone from the other old ladies in their rocking chairs. I call them the five G’s and each of my blogs will deal with one of these G’s. NUMBER ONE IS GRATITUDE: A crone feels gratitude. I’ve always been quick to list my many blessings. However, for some reason lately I’ve begun to feel intense gratitude. Really feeling the gratitude has made a huge difference in my outlook. Sometimes while I am out on my walk, I lift my arms and say, “Eternal Spirit, Mother, Father, God, Thank you.” Then I call out those things that fill my soul with thanksgiving. I mostly do this when there is no one about to hear, but if I am overheard, it won’t matter. It is hard to embarrass a crone. NUMBER TWO IS GOING: A crone keeps going. She sees people, and she exercises. I walk two miles five days a week. My home town, Chandler, Oklahoma, is built on a very large hill. I go down and up that hill twice during my hike. Walking makes me feel better physically, emotionally, and intellectually. I will keep walking as long as I am physically able. NUMBER THREE IS GROWING: A crone keeps growing emotionally and intellectually. Right now I am spending a lot of time thinking and reading about relationships, both those with people around us and those on the other side of the curtain. I want to understand what makes relationships work. I am also interested in learning about meditation. NUMBER FOUR IS GIVING: A crone keeps giving. Now that her personal responsibilities are fewer, she absolutely must give to others outside her immediate family. There are so many ways to give. I do most of mine through an organization called the Society of Children’s Book Writers and Illustrators. NUMBER FIVE IS GOALS: A crone has goals. My goals right now involve eating correctly and writing two novels. I have always over eaten, have never eaten correctly for six weeks. Will this public declaration help me stick with it? We’ll see. During October I also plan to write 10,000 words on a new novel for teenagers and do three character sketches for an adult novel that has been simmering inside me for twenty-five years. Thank you for listening to me. Now, I’d love to hear from you. Please leave me a comment.